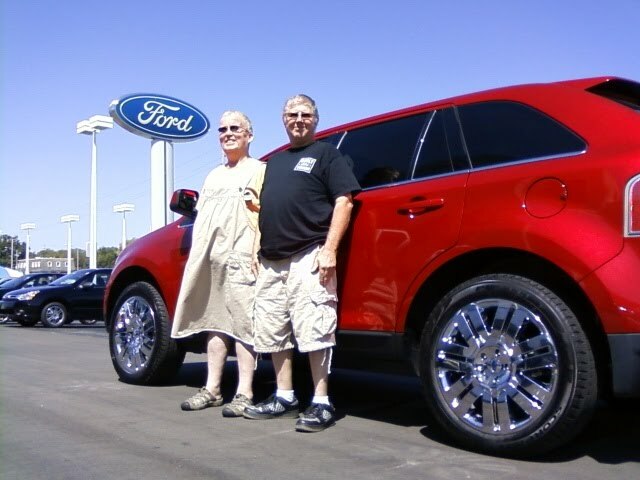 Perry retired from Ford in Kansas City and knows the quality and longevity of today's Ford automobiles. When it was time for a new vehicle for Beverly, they came to their preferred Kansas City Ford Dealer and picked out a beautiful, Red Candy Metallic 2010 Ford Edge. Congratulations, and thank you for your business. If you're in the market for a New or Used vehicle.. simply fill out the form and let me know how I can help.